Hope you've got your costumes ready, trick or treating at Eastchase is this Saturday and there are lots of Fall Festivals this Sunday afternoon! Where is your favorite place to trick or treat or your favorite fall festival to go to? Free admission. Free Parking. Antique car and motorcycle show. Door prizes, children's and youth activities, entertainment, vendors, and more. Trick or Pink will bring lots of activities for the kids to enjoy Saturday, October 25 *5 p.m.to 8 p.m., including a costume contest hosted by BAMA Country starting at 6 p.m., games, prizes, hayrides, a fall harvest market, inflatables, treats and a pumpkin patch where they can find their perfect pumpkin. Come out and be a part of a festive event benefitting the Joy to Life Foundation, who will unveil a great holiday gift idea at this year’s event. Bring the entire family to these free fun events and enjoy music, art activities in the studios, and wonderful artwork in the galleries! View a special exhibition of African art in the Museum galleries, see artists demonstrate wood carving, printmaking, and jewelry making, “jive” with the rhythm and sounds of jazz, make animal masks & stamped Adinkra designs in the studios, and enjoy the BTW Dance Theatre’s energizing performance to end an afternoon of fun. Hot Dog dinner with chips and drink for $3 per person. A free, fun, and safe alternative to trick-or-treating for preschool-grade 6. Wear a fun costume. Invite a friend. Free hotdogs. Lots of treats. 5260 Vaughn Road. 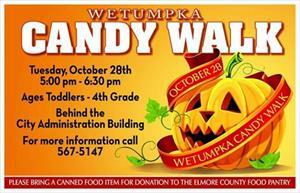 Food, fun, and candy with a Trunk or Treat. Inside and outside activities. Head To Your Local Participating Comic Shop To Get Free Comics! You can view the comics that will be available for free at the Halloween Comic Fest website. Just go there and click on Comics at the top of the page. There is a wide variety of comics available including some that are very kid-friendly such as My Little Pony, Angry Birds, Betty & Veronica and Scooby-Doo. Our local, participating comic book store is Quality Comix in Prattville. 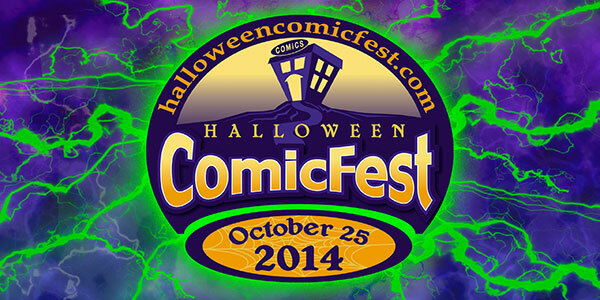 After you pick up your free Halloween ComicFest comics you can enter a costume contest at the Halloween ComicFest website by following the directions here. Adam Drugs Pharmacy: FREE Year of Vitamins for Kids! Inside the new Foodland is an Adam's Drugs location and I while I was there I stopped to check to see if they still offered this deal and they do! I'm thinking now (cold & flu season) is good time to get the kids back in the habit of taking a multivitamin. (Sadly that post was the first and last time I picked up our vitamins. Ooops!) It's super easy to receive free multivitamins for kids compliments of Adams Drugs. Just ask at the pharmacy counter, fill out a short form and you are on your way. Every month go back, get your card punched, and pick up a new bottle for a whole year! The program is for kids ages 3-12. Adams Drugs has locations all over the river region, so call your closest store to see if they off this service. Here are some things happening around the area this weekend. It's another FREE LEGO build at Toys R Us on Saturday-my son is stoked! Really interesting to watch the competition and there is a kids area they get to put on gear and race each other. 12-2 pm Bricktober Build at Toys R Us FREE! Event intended for children, ages 5-up. Parental supervision required at all times. All giveaways and event materials available while supplies last and distributed to participating children only. Limit one per child. Quantities limited; no rain checks. at Union Station Train Shed. 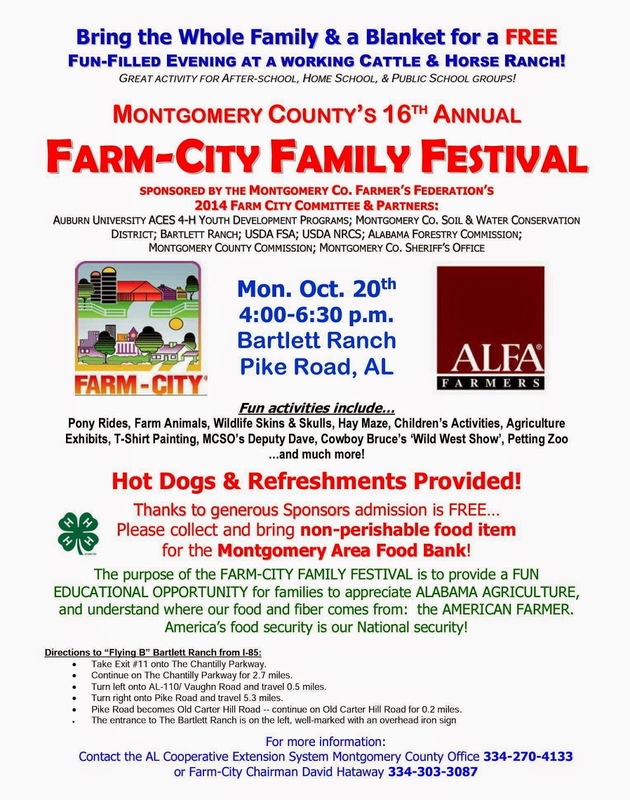 Live Music, Characters, Bounce Houses, Pumpkin Patch, Face Painting, Raffle, T-shirts available for donation to HALO. No costumes. No pets. Next week the Halloween festivities start! Have a great weekend! Some days I think I can hear circus music following our family around. Like I'm the ringmaster of some crazy, insane circus. Today we went to the free LEGO Star Wars build at Toys R Us. We always enjoy these builds and it kind of makes up for the fact that we don’t have a LEGO store here (plus: FREE LEGO!) Although... we have been to a build at the LEGO store in Birmingham and you have to line up at least an hour early outside the LEGO store and wait. Like hundreds of people sitting on the floor outside the store kind of line up. So these at our Toys R Us are much better, actually. Just barely a line and the Toys R Us employees that head-up the build are so friendly. We were waiting for Daniel to finish and I was strolling the babies up and down the aisle nearby, when I vaguely heard a store announcement over Hannah’s screeching. Something about an alarm going off in the parking lot. Oops. I grabbed the keys and pushed the panic button hoping that it would turn off the alarm. Turned out Hannah had pushed the panic button AND opened both sliding doors. The irony in this is that I can stand in my driveway and push the buttons to unlock the van and get NOTHING. The upside is that the alarm wasn’t still going off so apparently it had worked when I pushed the button from in the store and also, it wasn’t raining. I closed the doors, hit the lock button and we walked down to the grocery store. Then I started thinking about how funny it would have been to see the van with the doors opening and closing and opening again and people in the parking lot watching it with puzzled looks on their faces. Lesson for me: Use anything but the van keys for a distraction item or park farther away. You guys! There are two free LEGO builds at Toys R Us this month! I really want to do the Oakwood Cemetery Tour Saturday morning. Plus so many Trunk or Treats and Halloween events. It's hard to decide what to do this month. Our favorite "non-halloween- halloween" event is Taylor Road Treats the Town. We always have a good time there. I will be adding more events as I find them. If you know of any, leave a comment here or on the River Region Family Facebook page. I know there are many more Fall Festivals that I will have to add as it gets closer to the end of the month. Must register ahead of time online. Kids can build a wooden project and get a free patch, apron, goggles and much more! Kids build and take home a LEGO mini ghost ship! Fine print: Event intended for children, ages 5-up. Parental supervision required at all times. All giveaways and event materials available while supplies last and distributed to participating children only. Limit one per child. Quantities limited; no rain checks. Raising awareness of Dyslexia-Block party celebration at the RSA Tower Park (across the street from the tower at 201 Monroe Street, Montgomery, 36104). Special guests, Entertainment, A flash mob, Balloon animals, Silver Linings, Roundtable Solutions Tower Lighting, Delicious treats, Decoding Dyslexia's Proclamation Presentation and more. Bring your picnic blankets and lawn chairs.. and your dancing shoes, too! Enjoy the view while celebrating the 1 in 5 who have dyslexia.